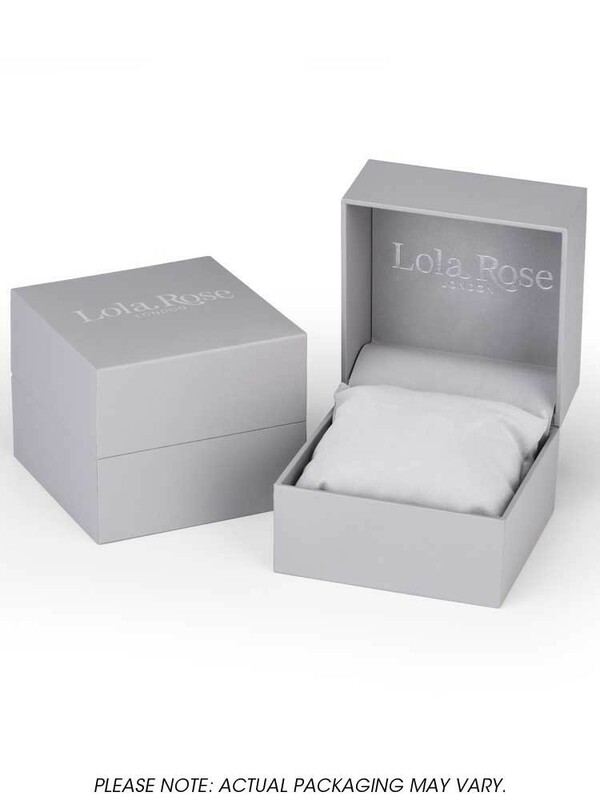 Lola Rose presents a classic, fashionable timepiece from their diverse collection. 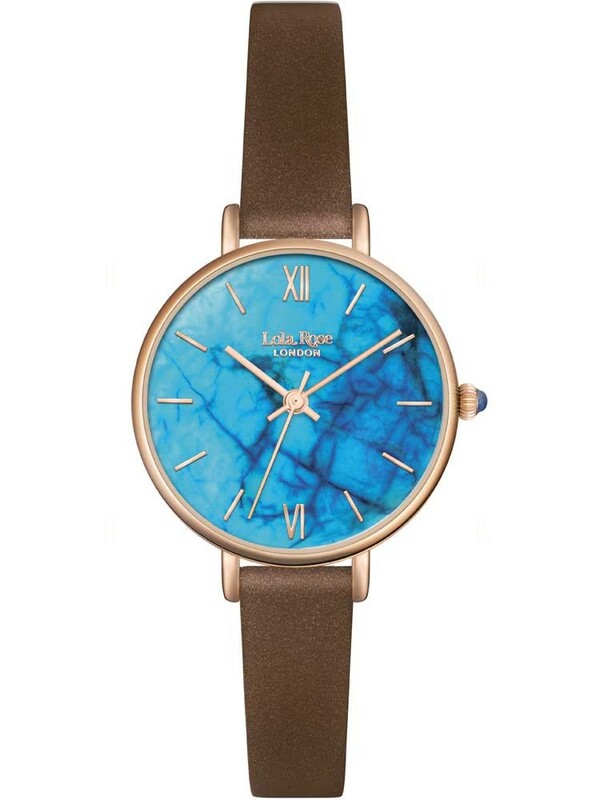 Featuring a beautiful rose gold plated stainless steel dial case teamed with a luxurious leather strap, the focal point comes in the shape of the remarkable dial. 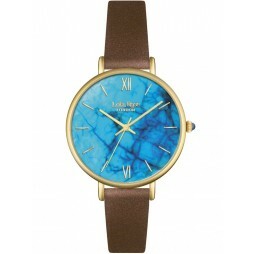 Bold blue colouring contrasts against the rose gold, resulting in a stand out piece assured to catch the eyes of many. Finished with baton markers and roman numerals at twelve and six, alongside tasteful logo branding.